Born in Kothluk, a village in Maharashtra, on May 9, 1866, Gopal Krishna Gokhale was raised in the home of his maternal grandfather. This village was not too far from Tamhanmala, the native town of his father, Krishna Rao, a farmer by occupation who w as forced to work as a clerk due to the poor soil of the region. His mother, Valubai, also known as Satyabhama, was a simple woman who instilled in her children the values of religion, devotion to one's family, and caring for one's fellow man. Supported by his elder brother and sister-in-law, Gokhale managed an education at Rajaram High School in Kothapur. Due to his respect for his brother and a recognition of the compassion with which he was treated, Gokhale learned the value of self-sacrifice to avoid asking for more material support. At times he went without meals and studied by the light of street lamps to save his elder brother as much money as possible. A hardworking student, he moved on to college and graduated from Elphinstone College, Bombay in 1884 at the age of 18, earning a scholarship of Rs. 20 per month in his final year. His education influenced Gokhale's life in many ways. Primarily, his understanding of the English language allowed him to express himself without hesitation and with utmost clarity. Also, his appreciation and knowledge of history instilled in him a respect for liberty, democracy, and the parliamentary system. After graduation, he moved on to teaching, and took a position as an Assistant Master in the New English School in Pune. Among many achievements which testify to his talent and passion for teaching, perhaps the greatest of them all was a compilation, a book of arithmetic in collaboration with a colleague, N. J. Bapat, which became a widely used and widely translated textbook across the country. Gokhale moved on to become a founding member of Fergusson College in Pune in 1885, with colleagues in the highly honored Deccan Education Society. He pledged twenty years of his life to this college, as a teacher and board member. So apt was he at teaching subjects of any variety, that he was known as the "Professor to Order." 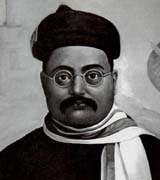 The year 1886 saw the entry of Gopal Krishna Gokhale into public life. At only 20 years of age, he delivered a public address concerning "India under the British Rule" and was applauded for his expression and command of the English language. Gokhale soon moved on to managing public affairs. While contributing articles to the English weekly Mahratta, he was seduced by the idea of using education as a means to awaken patriotism among the people of India. Just as this idea was enveloping Gokhale was promoted to Secretary of the Deccan Education Society. Once in the limelight, there was no looking back. After being given charge of the Bombay Provincial Conference in 1893, he was elected to the Senate of the Bombay University. In time, Gokhale came to devote all his spare time to the causes of the common man: famine, plague relief measures, local self- government, land reform, and communal harmony. As a member of the Pune Municipality, twice elected its president, Gokhale conti nued to strive to solve the problems of the poor, and those who came to him with grievances concerning water supply, drainage, etc. 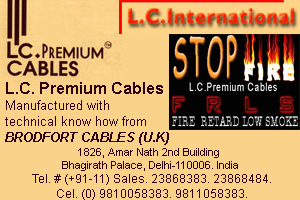 were pleased with the practical manner in which he dealt with the problem. Gokhale also published a daily newspaper entitled Jnanaprakash, which allowed him to voice his reformist views on politics and society. In 1905, he founded the Servants of India Society, which trained people to be selfless workers so they could work for the common good of the people. So strong was the desire to make a difference, that these kindred spirits vowed a simple life of dedication to these causes. Among the many things the organization did, there were the commendable services of helping victims of floods and famines, and taking the time to educate women in society, so that they too may have a voice. Many people influenced Gokhale and gave him the strength and discipline to bring his ideas to the realm of reality, but none more than Mahadev Govind Ranade, to whom he was apprenticed in 1887. Ranade trained him for 15 years in all spheres of public life, and taught him sincerity, devotion to public service, and tolerance. These qualities, which Ranade helped instill in Gokhale, are those qualities which helped make Gokhale the man he is known today. Gokhale visited England and voiced his concerns relating to the unfair treatment of the Indian people by the British government. In one span of 49 days, he spoke in front of 47 different audiences, captivating every one of them. Before long, he was touted as the most effective pleader for India's cause. While Gokhale pleaded for gradual reform to ultimately attain Swaraj, or self-government, in India, some of his contemporaries, comprising a radical element, wished to use force as a means of persuasion. Gokhale maintained his moderate political views and worked out some reforms for the betterment of India. He was instrumental in the formation of the Minto-Morley Reforms of 1909, which eventually became law. Unfortunately, the Reforms Act became law in 1909 and it was disappointing to see that the people were not given a proper democratic system despite Gokhale's efforts. The communal harmony he had longed for was shattered when he realized that the Muslim community was steadfast in considering itself as a separate unit. On the bright side, however, Gokhale's efforts were clearly not in vain. Indians now had access to seats of the highest authority within the government, and their voices were more audible in matters of public interest. The years of hard work and devotion of Gopal Krishna Gokhale did much for the country of India, but sadly also took their toll on the health of this great leader. Excessive exertion and the resulting exhaustion only aggravated his diabetes and cardiac asthma. The end came peacefully, however, on February 19, 1915. Pointing his finger toward heaven and then folding his hands respectfully, Gopal Krishna Gokhale made his final statement to an audience, a fond farewell.